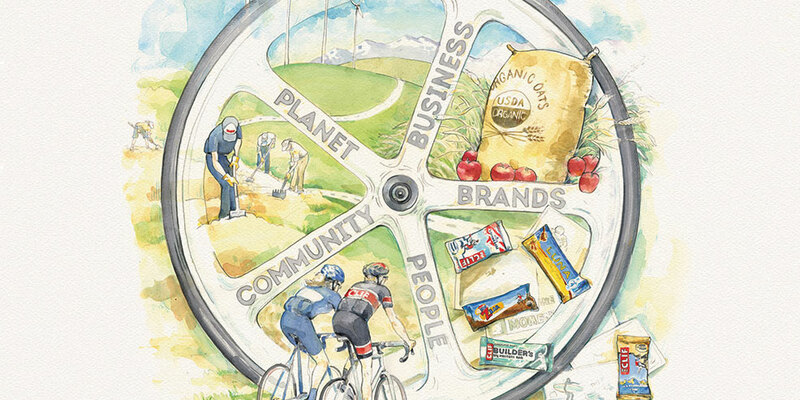 How we select and source our ingredients can be a catalyst for change in creating a healthy food system. For us, this means continuing to source a greater quantity of food that’s organic and certified sustainable. Organic and sustainably grown ingredients are the link between people’s well-being and a healthy planet. For that reason, we’re working with our suppliers and third party certifiers to source cocoa and palm kernel oil that meets our environmental and socially responsible standards. 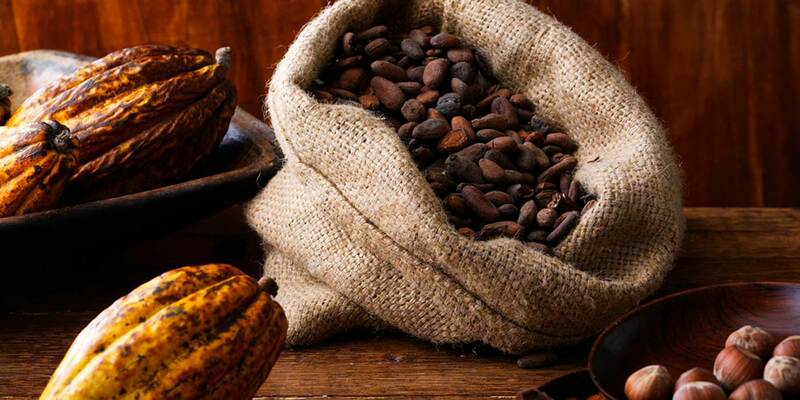 Today, 100 percent of the cocoa ingredients we use in our food is organic or Rainforest Alliance Certified™, and sourced from farms in the Cote D’Ivoire, the Dominican Republic, Ecuador, Ghana, Indonesia, Peru & Tanzania*. We chose the Rainforest Alliance certification because its comprehensive social and environmental commitments closely match our Company’s Five Aspirations business model. The Rainforest Alliance supports a healthy environment and promotes the well-being of workers and their communities. Certified farms help conserve soil and water, prevent deforestation, and minimize use of pesticides and agrochemicals. Farmworkers benefit from safe working conditions, dignified housing, medical care and access to schools for their children. The certification strictly prohibits child labor. Rainforest Alliance Certified farms are helping to improve farmers’ livelihoods. 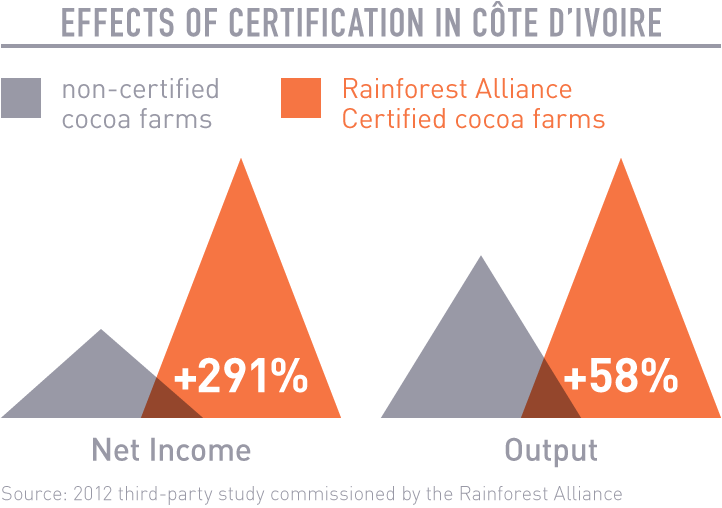 A third party study commissioned by the Rainforest Alliance found certified farms in Cote D’Ivoire increased net income by 291 percent and yields increased by 58 percent. The adoption of Rainforest Alliance certification is a way to help address the environmental and social problems posed by the expansion of palm oil plantations – including deforestation, displacement of indigenous peoples and competition between large agribusinesses. By working to promote the sustainable production and manufacturing of palm oil and palm kernel oil, the Rainforest Alliance is helping to mitigate the social and environmental impacts of a growing industry.